This rainy season, it’s high time to clear up some space in the house to welcome better things. De-clutter your closet by selling tight-fitting clothes, unused uniforms, formalwear and rarely used accessories online. You can also organize the kitchen, garage, attic and your cosy little siesta corner by letting go of items you don’t need, and posting them for sale on AyosDito.ph! But wait, there’s more! 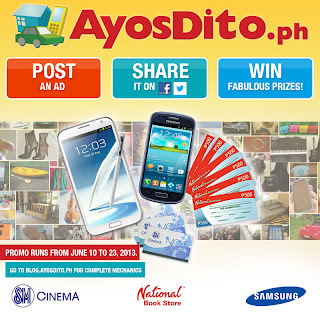 Aside from giving away cool new gadgets to lucky AyosDito.ph sellers, upto 30 more sellers can also get the chance to win gift certificates and other freebies from Team AyosDito.ph just because they posted and shared an ad. To join AyosDito.ph POST.SHARE.WIN promo, simply POST an ad on AyosDito.ph. It's very easy to WIN! 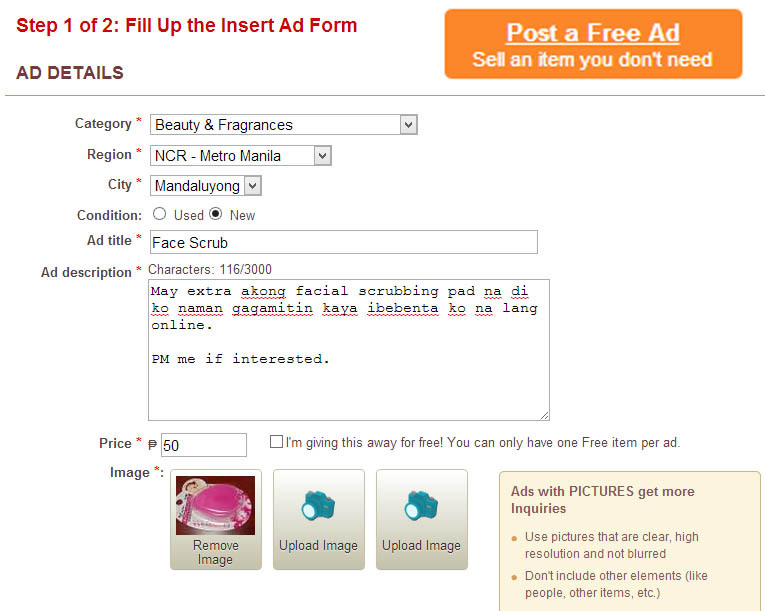 Each qualified shared ad is equivalent to one entry. All entries will be collected from June 10 to June 23, 2013. 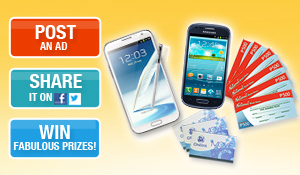 Winners will be randomly drawn from the qualified entries collected by Team AyosDito.ph. Anyone can share AyosDito.ph ads but only the ad owner will be qualified to win a prize. Winners should be at least 18 years old and living in the Philippines.